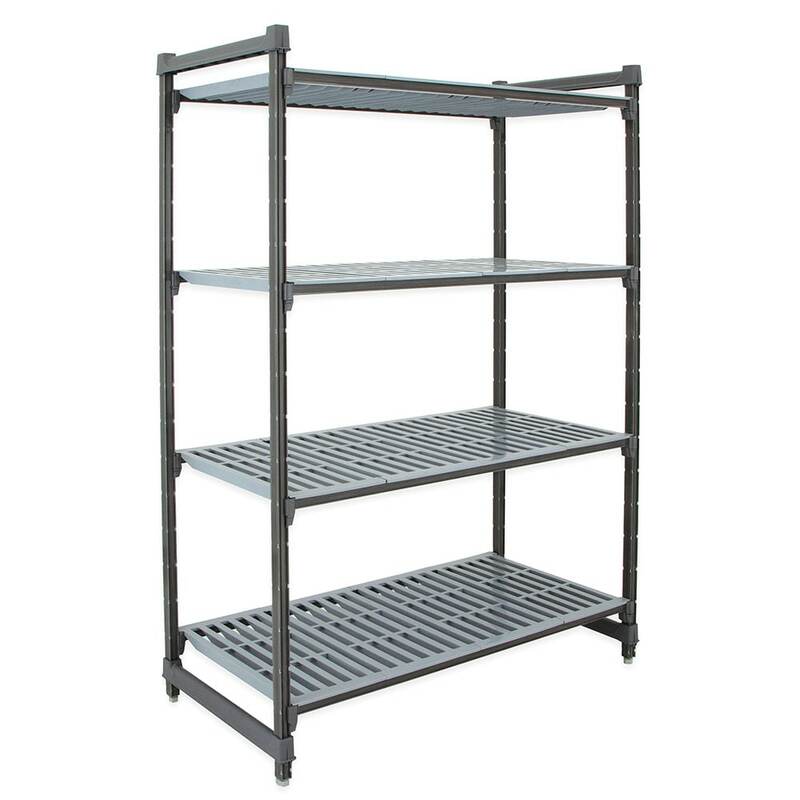 The Cambro CBU214872V4580 Camshelving® Basics starter shelving unit has four stationary posts with adjustable leveling feet. Four shelves are connected to these posts by eight traverses and dovetails. Each one can hold 600 pounds and is adjustable in 4-inch increments to accommodate various product sizes. This unit can withstand temperatures ranging from -36 to 190 degrees Fahrenheit and is ideal for dry, wet, warm, and cool storage. Its brushed graphite exterior hides stains. 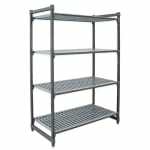 The polymer shelving guide has in-depth information on these units.